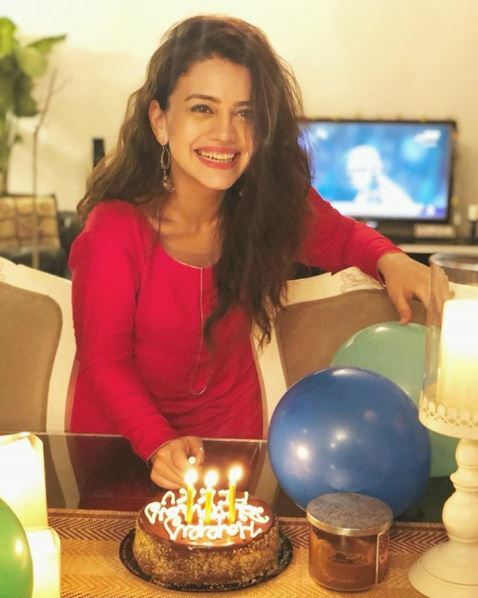 Zara Noor Abbas Siddiqui is reminder of good looks and age old charm that she’s inherited from her mother, Asma Abbas. She’s probably one of the actors who may have had strong ties in the industry due to her mother and khala, the famous Bushra Ansari, but she’s managed to earn a place for herself through her talent, for which we applaud her. And now she’s married to the dishy, Asad Siddqui and might we say they are one of the most good looking couples we have right now. But Zara as an actor, a performer and a fashionista is evolving everyday, which is why she is our Style Star today. So, here are a few of our favourite looks of Zara Noor Abbas off camera! Zara has next-door-girl vibes which makes her instantly likable. So, whatever she chooses to wear when she’s at home, her charm encapsulates you. A plain solid coloured kurta with her her beautiful mane and that delightful smile is all she needs to wear. I have been reading your blogs for quite few days now, your work is unique and has given me a guideline on how to write and express. keep up the good work, bravo!